BOHEMIA, TEXAS. Bohemia was on the banks of the Main (Middle) Concho River south of the road from San Angelo to Arden and on the old road from San Angelo to Sherwood in west central Tom Green County. George Hagelstein, who owned 12,000 acres of land on the Middle Concho River, began dividing it into farms for sale early in 1906, and plans were made for a townsite to be called Twin Mountain City. When the plat for the town was filed in March, the name had been changed to Bohemia. The settlement comprised thirty families when William Limbrugger was appointed postmaster there on March 27, 1907. Bohemia soon had a general store, a school, at least one saloon, a livery stable, and a cemetery. As many as 100 people, mostly Czech immigrants from farther east, lived there from 1906 to around 1909. The land, however, was not well-suited to agriculture. The community’s post office was discontinued on June 30, 1909. By 1910 most of the farmers, after trying to supplement their incomes by gathering pecans and cutting wood, had decided to move. 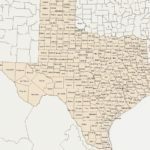 Most of them either went back to East Texas or moved to the Lipan Flats area of Tom Green County and the Rowena area of Runnels County. After major highways and the railroad bypassed the town, the site was completely abandoned. SOURCE CITATION: Handbook of Texas Online, Betty Jane Smith, “Bohemia, TX,” http://www.tshaonline.org/handbook/online/articles/hvbcb.